Registration 2-3 PM. Presentations begin at 3 PM. This event is organized by Drs. Shawn Gomez and Lauren Jones. 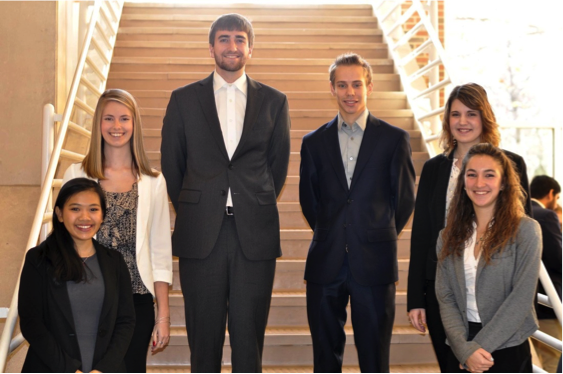 BME seniors will have the opportunity to showcase their projects that they have worked on throughout the two-semester senior design capstone course. The i4 Program is a novel initiative within the Joint Department of Biomedical Engineering that melds traditional undergraduate engineering education with biomedical entrepreneurship. Composed of four phases of need: Identification, Ideation, Innovation, and Implementation, this mentored design program culminates in an annual competition awarding financial support for further intellectual property development, and the eventual formation of a student-founded company. Bringing talented students together with highly accomplished academic, clinical, and industry professionals, the i4 Program drives young, innovative entrepreneurship into the Triangle region, while fostering the creation of practical solutions to real-world problems. The i4 Program is generously funded by an anonymous donor.